New BG diesel emissions equipment wins MOTOR Top 20 Tool award! – BG Products, Inc.
New BG diesel emissions equipment wins MOTOR Top 20 Tool award! 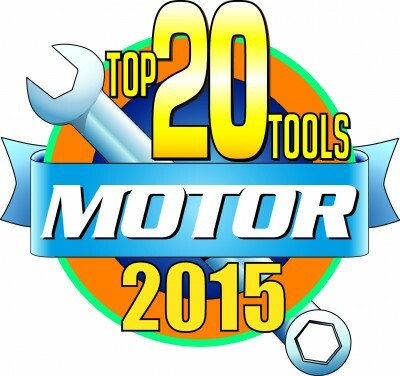 WICHITA, Kan.– September 9, 2015– The new BG 12Q VIA® was chosen to be in MOTOR Magazine’s Top 20 Tools for 2015. Each year, the editors of MOTOR Magazine choose 20 tools with “breakthrough originality.” This year, MOTOR recognized the advanced technology in the BG 12Q VIA® that cleans and restores the entire diesel system from fuel to emissions, including the commonly problematic Diesel Particulate Filter (DPF). As part of the BG DPF and Emissions System Restoration Service, the BG 12Q VIA®, PN 9300, is the first piece of equipment to trigger and control DPF regeneration, or self-cleaning. This unique service also cleans and removes accumulated residues in the fuel and air intake system. The result is restored fuel efficiency and performance, and reduced emissions. Due to the large amount of soot in diesel fuel, diesel engines can quickly accumulate hydrocarbon in the air intake and emissions systems. Emissions reduction devices like the DPF collect particulate matter (soot) and are designed to self-clean. Then when the DPF becomes too clogged, the onboard computer triggers regeneration, causing the exhaust gas to heat up to burn away the soot. The BG DPF & Emissions System Restoration Service uses groundbreaking technology to restore the DPF, while simultaneously performing an effective intake system cleaning. Installed through the BG 12Q VIA®, BG DPF & Emissions System Restoration, PN 258, effectively disperses hydrocarbons from the intake all the way through to the emissions system to be burned off and sent out the tailpipe. Learn more about the BG 12Q VIA®.